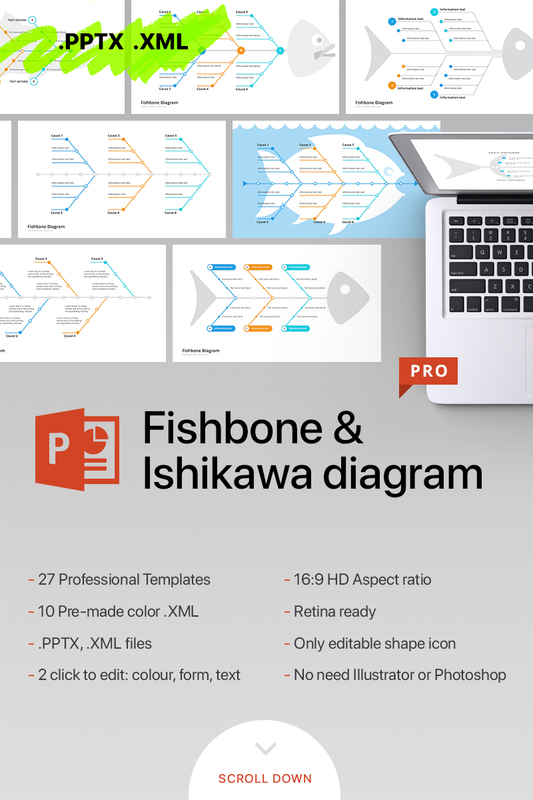 The Ishikawa diagram template PowerPoint represents a pack of 27 unique slides with fishbone diagrams. It is possible to choose one of 10 color themes. A full set of necessary tools is applied to the slides. 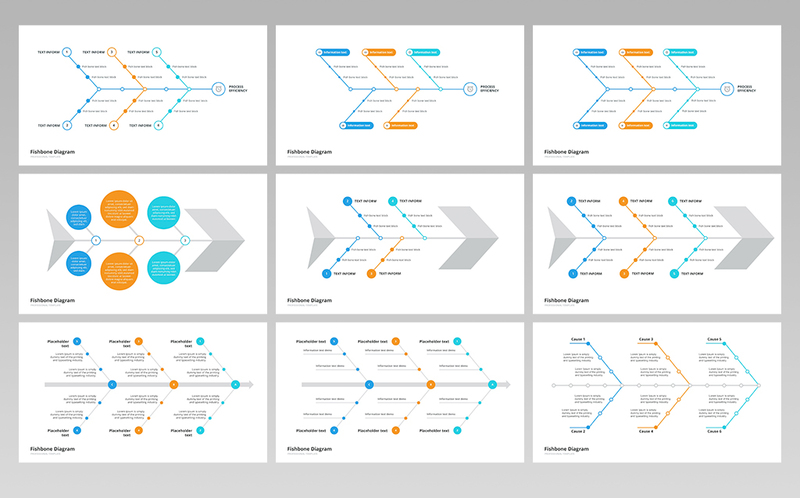 On the sample, you can see the slides with various design: some diagrams are more schematic, some of them have more vivid creative design. 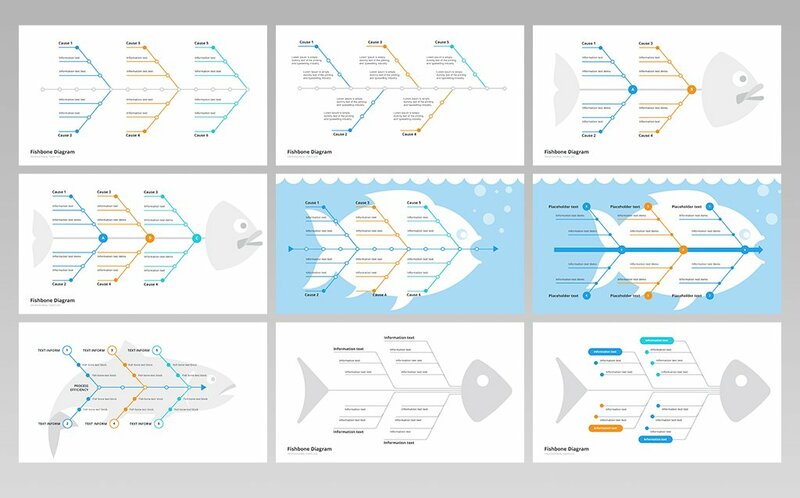 Such wide range of slides allows you to choose the most appropriate option. The pack is available for PowerPoint software. The presentation serves as speaker's image maker that is why it is necessary to carefully create it paying attention to each detail. 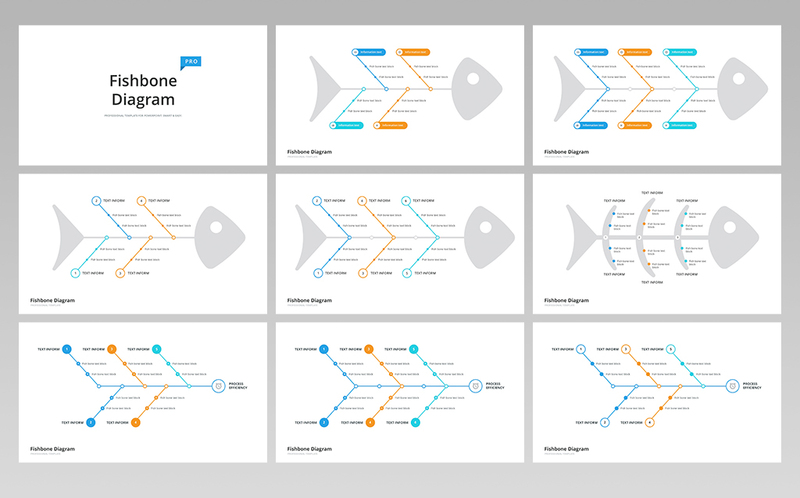 If you want to display a high-quality informative presentation without any defects, choose our ready-made elements including this fishbone diagram PowerPoint template. Their quality is approved. You'll be sure that when you display your visual aid on high-resolution screens, it won't have such nasty defects as blurred slides and visible pixels.